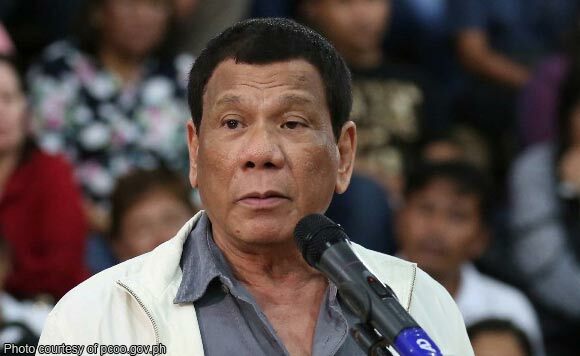 Duterte asks Pinoys to pray harder than priests wanting him to die soon: Pero kung gusto niyo 'yung babae, bahala kayo! Duterte asks Pinoys to pray harder than priests wanting him to die soon: Pero kung gusto niyo ‘yung babae, bahala kayo! President Rodrigo Duterte is asking Filipinos to pray to God that he lived long enough to finish his term in 2022 unless they wanted Vice President Leni Robredo to take over. Duterte said he needed these prayers to help repel prayers by priests who wanted him dead. “So kayong lahat, kaibigan ko naman kayo, hi. Ipagdasal ninyo, kontrahin ninyo ‘yung dasal ng pari. At least magsabi ka, ‘Diyos ko, huwag ninyong pakinggan ‘yung mga pari. Huwag naman patayin si Duterte’,” said Duterte in a speech in Isabela. “Pero kung ayaw ninyo o gusto ninyo na babae, bahala kayo. Basta kung kaya ba ninyong…,” he added. Duterte has blamed bishops and priests for making him attack the Catholic Church and ridicule its teachings. Duterte claimed bishops and priests not only spurred the public to join protest rallies seeking is ouster, they also told Catholics during homily that they were praying hard for the immediate death of the president. Duterte fears God might listen to priests who want him dead: Mas malapit sila sa Diyos!